Azamara Club Cruises® has partnered with GroundLink to provide guests with private ground transportation in most arrival and departure ports. If you're flying into or from the ports of Venice and Civitavecchia, book your transfer with Aloschi Bros.
Groundlink has partnered with Azamara Club Cruises® to provide private ground transportation at most Azamara arrival and departure ports and many Azamara worldwide ports-of-call. Groundlink is a worldwide provider of ground transportation that offers car services, SUV, van, and limo services in over 172 countries, 45 departure/arrival ports and 5,000 airports worldwide. They can pick you up at your home, take you to the airport, drive you from the airport to the pier, and then back home on your return. Groundlink also offers private transportation at many Azamara worldwide ports-of-call. How do I make a reservation with Groundlink? Reservations can be made through their secure website or you can call their toll free number at (800) 685-6084. Does Groundlink offer service anywhere worldwide? They service many Azamara ports-of-call, arrival and departure ports and 5,000 airports around the world. They can provide you with a car, a van or a limo almost anywhere worldwide. Groundlink offers an extensive array of vehicles which can accommodate from a single passenger to very large groups. 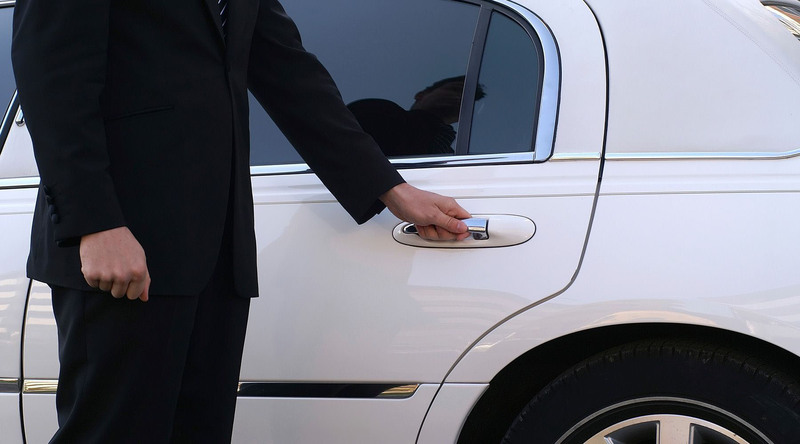 You can reserve a standard town car, SUV, 14-passenger van, and stretch limousines. You can view all types of vehicles on their web site. What is the capacity of Groundlink vehicles? Sedans: up to 4 passengers, and three 27" bags. Minivan and SUV: up to 6 passengers and 4 bags. If less people, more bags will fit. Full size van: 14 passengers with no luggage or 10 passengers and 10 bags. Does Groundlink allow smoking in the vehicles? No. All vehicles must be clean and smoke free at all times. Does Groundlink supply car seats for kids? Yes. There is a charge for this service. Does Groundlink allow luggage to be stored in the vehicles? No. All baggage must fit in the trunk, or you should order a larger vehicle, such as an SUV or a full size van for more trunk space. If you would like to keep your baggage in the vehicle after the chauffeur drops you off, you will be charged the hourly rate applicable for that vehicle. As long as your luggage remains in the vehicle, the driver will not be reassigned to another job. Does Groundlink provide service on a "per hour" basis? Yes. If you are unsure of how long you will need a vehicle for, you can hire Groundlink service and pay an hourly rate. You can easily book this reservation on their website or over the phone. What is the difference between an inside pick up or an outside one at airports? Inside pick up: The driver waits for you at the baggage claim area with a sign that has the passenger's name on it. Outside pick up: After the flight has landed, the passenger needs to call Groundlink at (800) 685-6084 after they either go through customs if it's an international flight or pick up their luggage if it's a domestic flight. The driver will be alerted to which pick up location or terminal the passenger is exiting from. Your car will be waiting curbside at this location. What happens if my ship is delayed? Groundlink monitors your ship's arrival time. If your ship is delayed, Groundlink will update your pickup time. When will wait time be billed? Guests have 45 minutes of free waiting time from the pick-up time that they have provided Groundlink. If you need to update your departure time in the event the ship is delayed or there is a delay in the departure process, please call Groundlink at (800) 685-6084. Will I still be picked up on time if my flight is delayed? Groundlink constantly monitors flights automatically adjusting the pick up time in accordance with the latest arrival time of the flight. As long as you remain on the same airline and flight, you do not need to contact Groundlink as they will check the flight's status. Only in the event that you have changed airlines or flights, will you need to call Groundlink and give them the new information for your pick up. Can I have a driver wait for me with a sign outside of baggage claim? Yes. You can request a "Meet and Greet" service (inside pick up) and your chauffeur will wait for you at baggage claim (for domestic flights) or outside Customs (for international flights) with a Groundlink sign and your name on it. Yes. Groundlink charges additional $15 for this service plus parking fee.